So last Friday saw the public launch of a brand new way to learn about digital marketing. Giant Campus. We’ve been bleating on about this for a while now, across our social media platforms, so you should have some kind of an idea, but for those that don’t, let me fill you in. 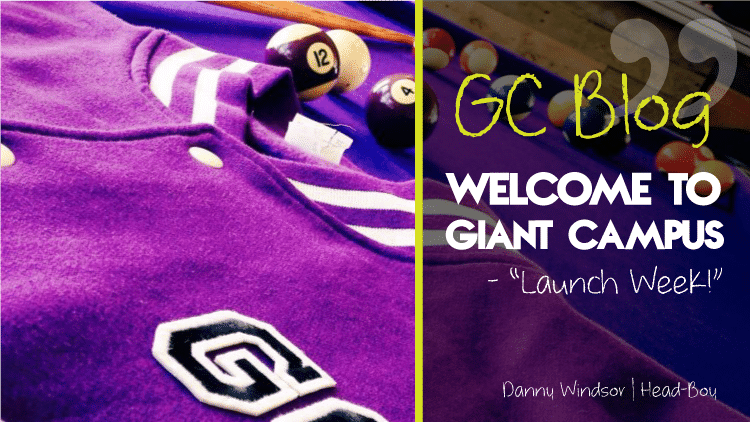 Giant Campus is the sister company to the critically acclaimed, Kent based, Sleeping Giant Media. Over the past 8 years, Sleeping Giant Media has grown to become one the most respected digital marketing agencies in the South and across the UK. It’s not just us saying that. They are too modest to say but they have been winning awards based on customer satisfaction for years. It’s something they take very seriously! We launched on Friday 30th September, Click here to go to our Launch Party page. From their humble beginnings around the kitchen table to amassing a staff base of about 40 skilled creatives, Sleeping Giant Media have grown rapidly. You can’t achieve such growth if the environment, systems, and training are not in place. Personal development is a daily process for the GIANTS of SGM and it is with this kind of thinking, that led to the conceptualisation of Giant Campus. How can other providers be as close to the subject if they don’t practice the arts daily? How do you capture the attention of professionals in the creative, digital industries? Why don’t other small businesses grow using the power of the internet? Giant Campus is born out of all (some) of these frustrations. After chatting with some local businesses and analysing the training offering it was clear that something pretty GIANT had to happen. We discovered a large amount of ‘free’ training (networking and selling wrapped up as training and seminars) These can be great to initiate those discussions and curiosities but didn’t do much more than that. So we looked at the formal route, NVQ’s, CPD and apprenticeships. Looking into the syllabuses of these programmes it was clear how outdated they already were with regard to digital marketing? I mean this stuff changes daily! OK, how about e-learning. The internet is so awesome this has to be the solution, but alas no. Some great resources were found, video content, infographics, learning programmes like Google Garage, but none of these formats of learning allowed you to have a hands-on approach, or to be able to ask those questions that affect you and your particular business. So we took it upon ourselves to do something about this. Practical, creative, hands-on training delivered by professors who do this kind stuff daily, for those happy customers at Sleeping Giant Media. So over the coming weeks, you will see some cool stuff on social media, like our 360 launch on YouTube. Perhaps you will see some paid online advertising. Our website is live and is now ranking in google, have a search, or perhaps you will see one of our remarketing adverts whilst browsing online. Maybe you will attend one of our free taster sessions or better still, book yourself into the ball pit for a digital marketing masterclass. It’s pretty clever stuff, but all things we can show you how to do for your business, get in touch today. The Ball Pit. Giant Towers, Folkestone Kent. what do our learners say?